One hour every day, for every agent, can be spent leaving voicemails for customers. That is not good use of an agent’s time, and it is boring and repetitive. 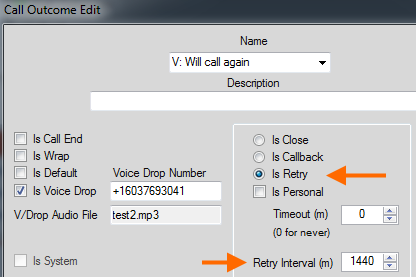 Voice Drop from Dynamics Telephony can recover all that time for you by automatically leaving a voicemail, while freeing the agent to make another call to another customer. 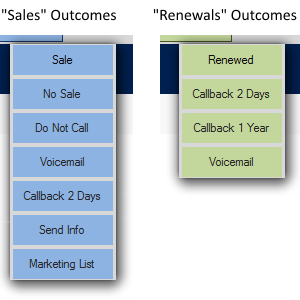 When you encounter a customer’s voicemail, select the message you would like to leave for the customer from the Outcomes list. The call will be transferred from your phone to the automated Voice Drop service, and you will be free to make your next call. You should click on the Voice Drop button just as you hear the start of the “beep”. 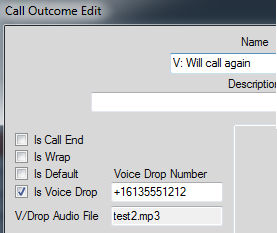 When you click a Voice Drop outcome, the customer’s voicemail is transferred to a Voice Drop service. There are two choices for the Voice Drop service. 1. The service can run on an Asterisk based platform – probably on your premises. Scripting in Asterisk will answer the call and play a pre-configured audio clip into the customer’s voicemail. This option can eliminate the per call cost and gives you more granular control. This requires some Asterisk scripting expertise on your side. 2. You can use our cloud-based service. Uploading audio clips to the service is simple. No particular expertise is required on your side. In this mode, you use the same Voice Drop number for every outcome, but you upload a different audio file for each outcome. 3. Click in the audio file box to be prompted for the audio file to upload. DO NOT specify any Audio file in the Outcome configuration. Instead, you have to load the audio file onto your asterisk. 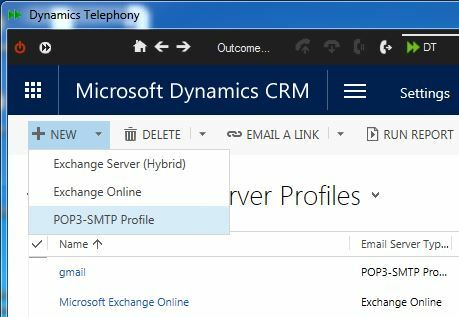 If you use per-agent queues with Dynamics Telephony Progressive Outbound, then you can have per-agent Voice Drop buttons. This means each agent can leave messages in their own voice. 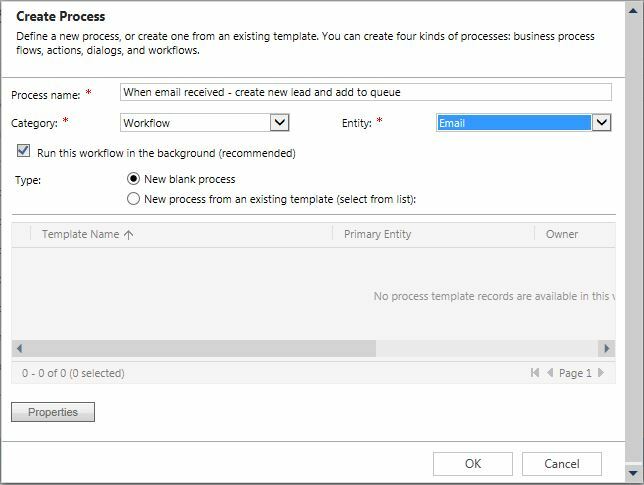 See here for how to configure Outcomes per agent queue. Voice Drop works with click-to-dial. 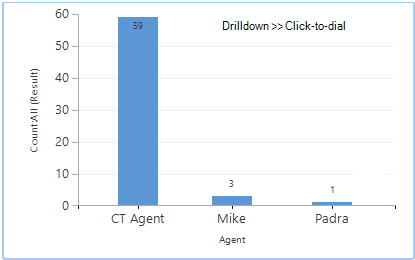 However, click-to-dial Outcome buttons cannot be defined per agent or agent-group. Use a different colors for Voice Drop buttons to distinguish them as Voice Drop or to group them for a user, for example. 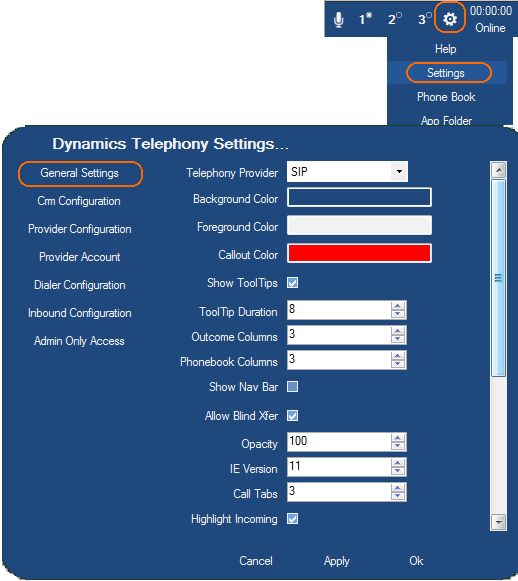 You can check the audio file for a Voice Drop outcome by viewing the CRM Dashboard called “Dynamics Telephony – Call Outcomes”. Double-click on the outcome you want to see and in the form that opens, the audio file is in the Notes section. 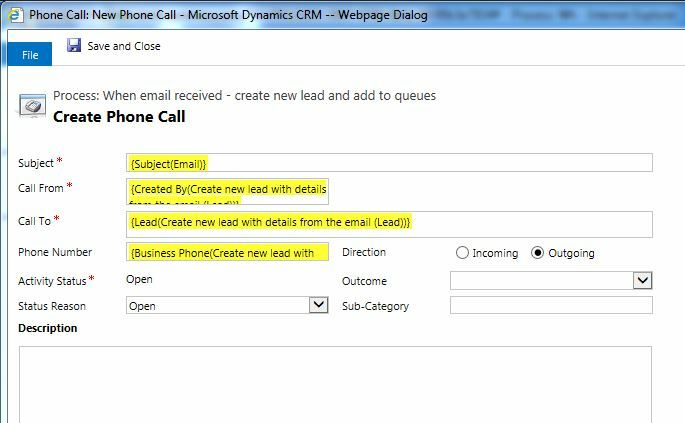 When using Dynamics Telephony for outbound calling, the agent will usually complete the call by selecting an Outcome from a list of configured Outcomes. This list of Outcomes can be defined by department, group of agents, queue or campaign. In this way, the agent always only sees a list of Outcomes that are relevant to the call. This speeds up the call and makes sure only the correct Outcome is selected. – Mark the contact for Marketing Materials, send out some info via email now AND set up a callback for 2 days time. 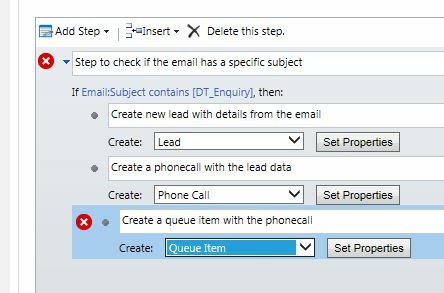 In Dynamics CRM, set up a queue (or queues) for the department, agent-group or campaign. 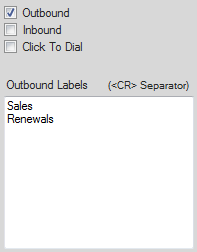 Now, when you define an Outcome in Dynamics Telephony, you will see a box called “Outbound Labels”. Add the queue names to this box that you would like to use this outcome. NOTE: Queues that are not defined against at least one Outcome, will get all outcomes. 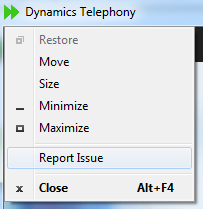 Dynamics Telephony includes a great feature you can use for reporting issues – be they on CRM or Dynamics Telephony. 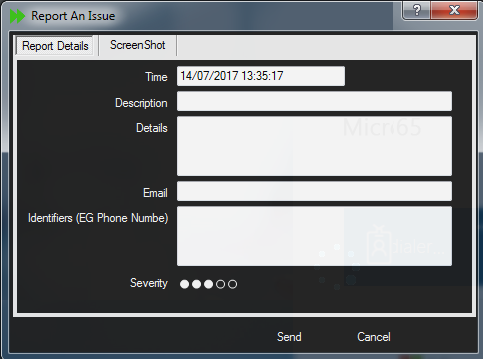 Agents have access to a “Report Issue” button that automatically collects logs, a screen shot, timestamp and some details from the agent. View and annotate the screen snap like this. Use the RESET button to remove all annotations. Configure the email address to send the report to. If you leave this blank it will be sent to Dynamics Telephony Support. You can use a comma-separated list of email addresses. 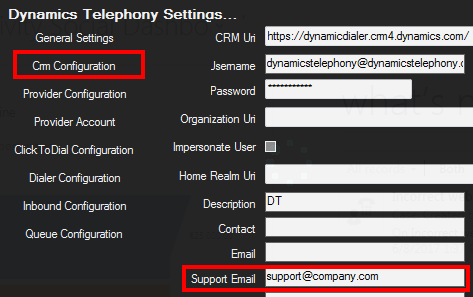 Select whether you want critical errors that Dynamics Telephony detects silently, are sent to the email address configured in the previous step. In today’s competitive market, exceptional customer service and customer engagement is about delivering more personalized experiences which will separate your company from the competition. With Dynamics Telephony we can bring the customer straight to you with the minimum of fuss for them and for you. Never miss a lead or an opportunity again with this simple solution. This blog shows you how – through the use of a web page and a workflow – potential customers can submit their details and receive a personal phone call within a matter of seconds. Before we go into the technical details we’ll firstly look at a broad overview of how this solution works. We start by creating a webpage which is where the potential customer will submit their details. 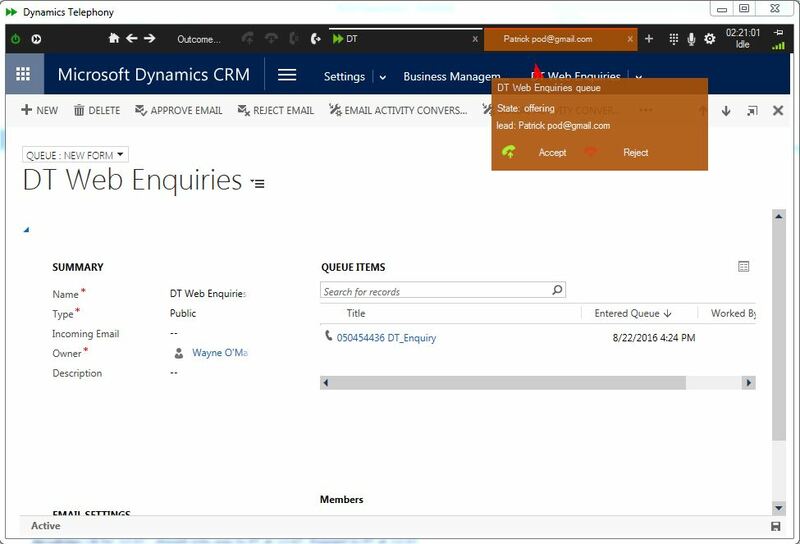 Once the customer has filled in the form and submitted, an email is created which will show up in CRM with the potential customer’s details. A workflow then kicks off which uses this email to create a new lead. A new phone call to the lead is created by the workflow which is entered onto a queue as a queue item. 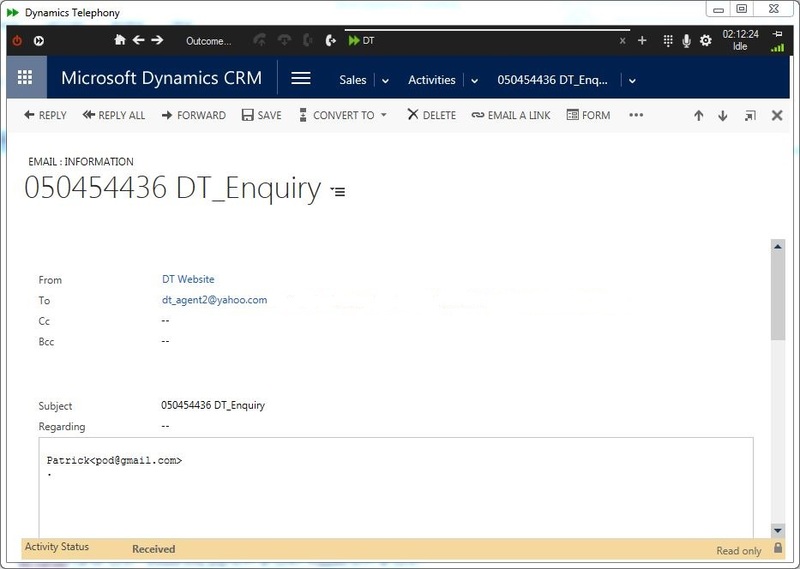 This queue item then automatically pops to an agent that is using Dynamics Telephony, presenting all the data entered by the new lead to them. The first step is the creation of a webpage. As can be seen in figure 1, a simple webpage to capture a name, email address, and a phone number is required. The sample page shown can be viewed here. The webpage is accompanied by a PHP file which captures the details and sends them as an email. The PHP file code can be viewed here. The webpage and PHP files are just for reference – your company website administrator should be able to create these without difficulty. The next step is to ensure that the inbox that you’ve selected is correctly synchronized with CRM. 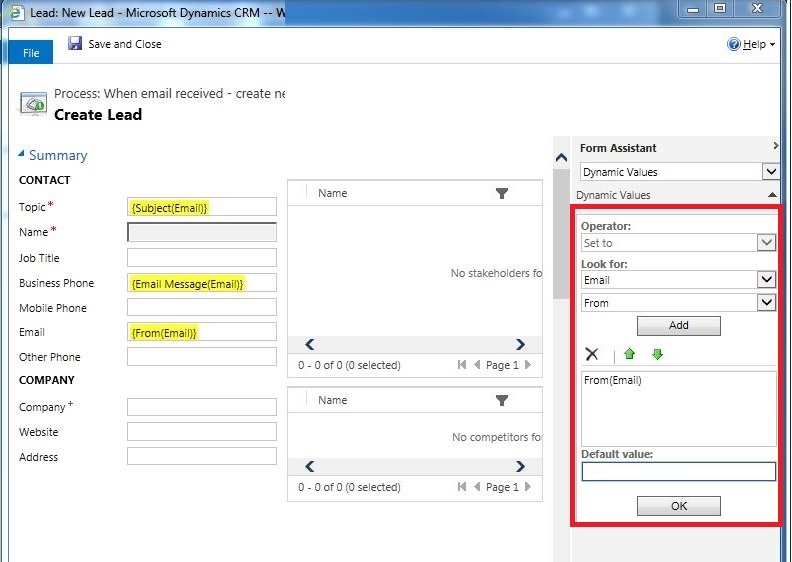 We show you here how to sync a yahoo email address with CRM. 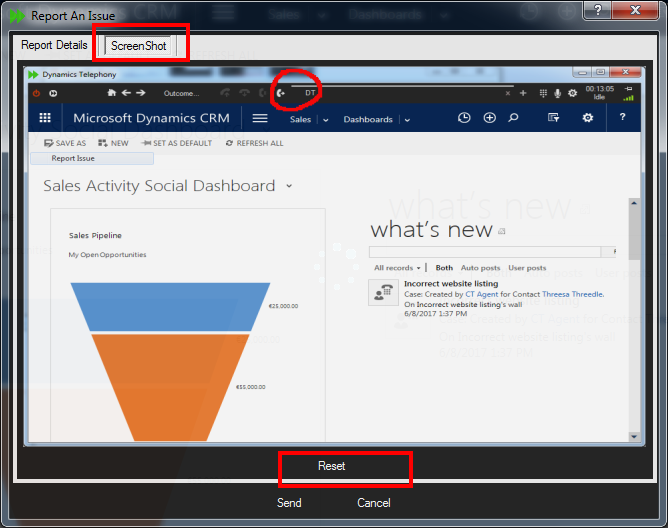 In CRM go to Settings > Email Configuration > Email Server Profiles. 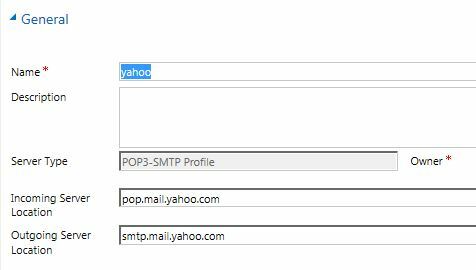 Click the new dropdown and select POP3-SMTP Profile. Now fill out the general section as shown. Advanced. The time and date seen are the dates of creation. Save and close the new email server profile. This will now be used as part of setting up your yahoo mailbox in CRM. Navigate to Settings > Email Configuration > Mailboxes. The owner and regarding fields are yourself. Give the mailbox a suitable name and enter the email address that you wish to use (remember that it must be a Yahoo email address). Also ensure that “Is Forward Mailbox” is set to No. The next sections to fill out are Credentials and Synchronization Method. Enter your email user name and password for your Yahoo email. Select yahoo as your Server Profile. The other configurations are shown in figure 10. 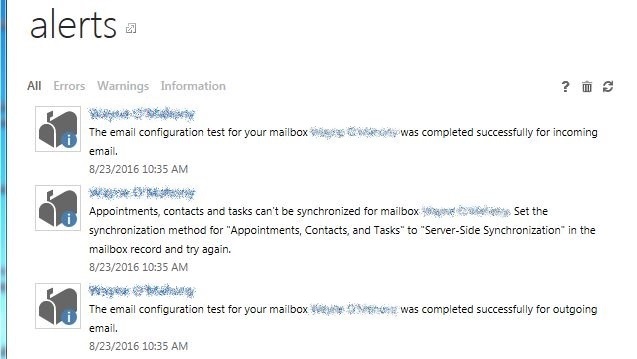 The final steps to configuring the mailbox are to Test & Enable Mailbox and Approve Email, shown below in figure 11. Click Test & Enable Mailbox and click OK without checking any boxes. Click Approve Email and click OK again. In your alerts there should be three messages informing you of successful configuration for incoming and outgoing email. There may also be a message about Appointments, contacts and tasks can’t be synchronized, that’s fine. The final step is to create the workflow. Begin by going to Settings > Processes. Click New and give your Workflow an appropriate Process name. The Category is Workflow and the Entity is Email. Fill out the general information as shown in figure 14. We want the scope to be the organization. The Start When is Record is created (when CRM receives a new email it is treated as a new activity). Now we move onto adding steps. The first step is a check condition. We use a check condition to check whether or not the new email activity contains a certain subject. 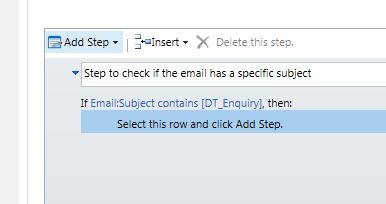 In figure 16, we are checking to see if the new email activity contains “DT_Enquiry”. This text was configured as part of the PHP file – your website administrator can tailor this to your own needs. Save and close this window. Highlight Select this row and click Add Step to create the lead. Click Create Record. Enter a description, select Lead from the dropdown and click Set Properties. The configurations for the new lead are shown in figures 19 and 20. The highlighted area in red is where the field inputs are selected from. A potential customer may or may not enter their full name – we use their email as a last name for the moment. The lead’s details can be amended for more accuracy afterwards. Next, we create a new phonecall activity. Click Add Step and Create Record. Enter a description and select Phone Call. Click Set Properties and enter the details as shown in figure 22. 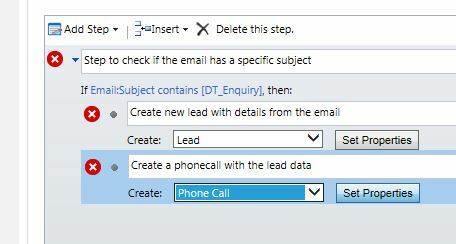 The only tricky part here is that for Call From, Call To, and Phone Number, instead of selecting Email in the look for section, scroll down to Local Values in the dropdown and select the description you entered for the new lead created (workflow shown has Create new lead with details from the email). Final step – click Add Step and Create Record once more. This time we are creating a Queue Item. Click Set Properties and enter the details as shown in figure 24. The Queue in this case is whatever queue you decide to store these potential customers. And that’s it! The workflow is now complete. Don’t forget to activate your workflow when it is complete. Please ensure that emails are coming to your own yahoo inbox as well as your CRM email activities. Leads will then start popping to your agents without them lifting a finger. 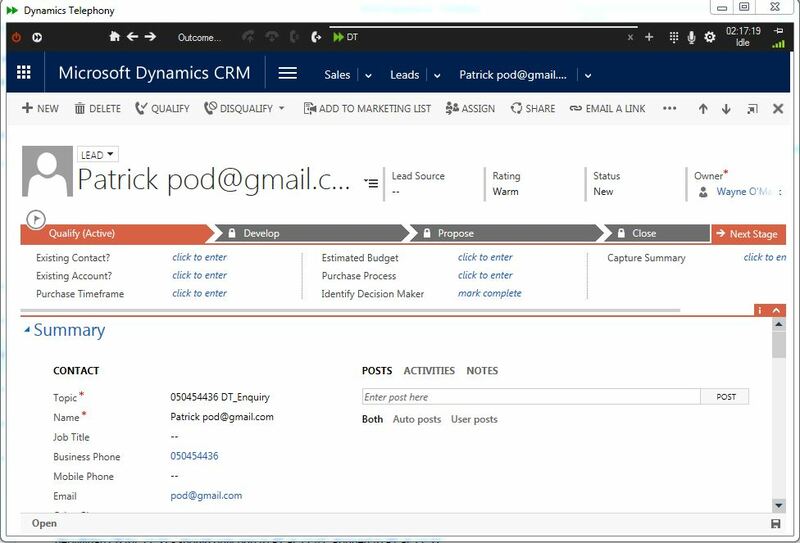 All General Settings are stored per user, and they are stored in CRM so users can have their setting follow them if they use a new PC. The General Settings can also be controlled globally. Please ask your engineer. Telephony Provider. The default is SIP. If you change it other settings need to be changed too so change with care. 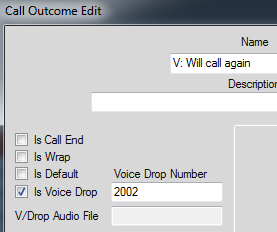 The Call Outcomes can be configured as follows. 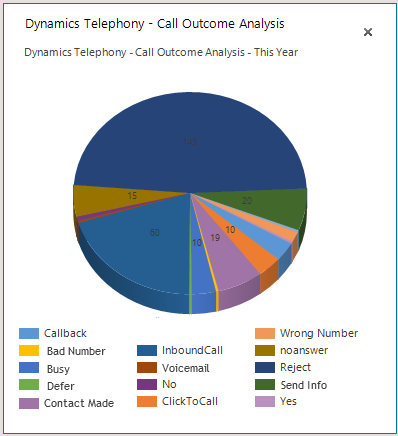 Go to dashboard: Dynamics Telephony – Call Outcomes to set the outcome buttons. Index: This determines the position of the button. Name: this is the text displayed on the button. Description: This is for your own use. 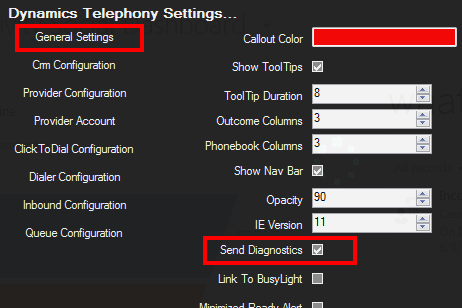 isCallEnd: If “True” then clicking the button will also hang up the phone call. You can use this on all outcomes and train agents to set the outcome as they hang up the call. Definitely use it on outcomes such as “Fax”. isClose: If “True” then clicking the button will mean this phone call is not attempted again in the Progressive Dialer AND the associated Phone Call in CRM is closed. Use this for Outcomes such as “Wrong Number”, “Yes” or “No”. isDefault: If “True” then this outcome is applied to the phone call in the Progressive Dialer if no other outcome is chosen. isWrap: If “True” then Wrap time will be applied once the call is released. Use this for outcomes that should have a defined Wrap time. isConnectXorAbort. Only for handling Contact Center outbound calls with DTI. See here. reqConnect: If “True”, this outcome cannot be chosen unless the call has been answered by the customer. retryTime: The number of minutes to bring this phone call back in the Progressive Dialer. For example, you might set Busy at 10 minutes. See here for other settings such as preview time, no-answer treatment and wrap time. 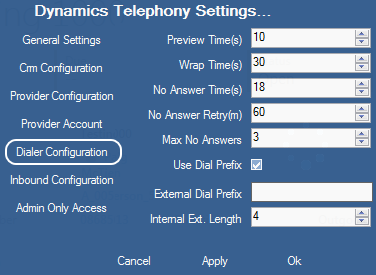 The Dialer Configuration settings determine the behavior of Dynamics Telephony when dialing outbound calls in the Progressive Dialer. Preview Time – When a Dialer call starts, there is a countdown of this number of seconds before the call is actually dialed. This time is to allow you prepare for the call. You can click the FFWD control to skip this countdown. Wrap Time – When a Dialer call is released, there is a countdown of this number of seconds, after which the next Phone Call is loaded and dialed. No Answer Time – When a Dialer call has been ringing for this number of seconds it automatically gets the outcome “No Answer” and Dynamics Dialer moves on to the next phone call, and automatically and dials it. No Answer Retry – Dialer calls who’s Outcome is “No Answer” are tried again this number of minutes later. Max No Answers – Dialer calls that have this number of “No Answer” outcomes are removed from the Dialer and not dialed again. External Dial Prefix – This is the prefix described in the previous section. It can be for getting an outside line, or selecting a carrier, or both.